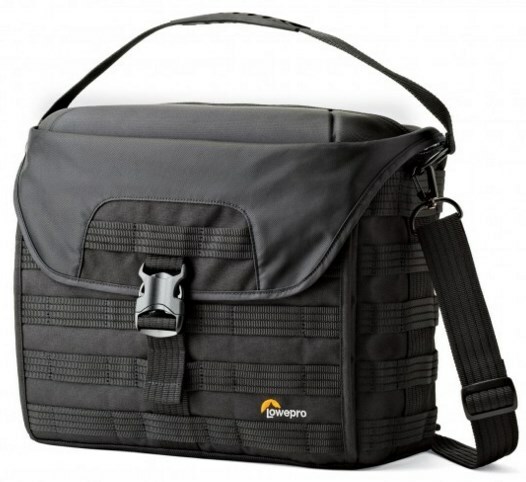 Get mission-critical access in a super-compact and rugged shoulder bag for your Pro DSLR kit, plus laptop. Our award-winning ProTactic series expands to bring urban-inspired shoulder bags to all street shooters, bloggers, photojournalists and adventure travelers. The ProTactic SH 200 AW delivers accessibility, versatility and smart organization for your Pro DSLR kit. Set up your kit for the way you shoot. This pro messenger offers superior protection and multiple ways to customize to fit your gear. Fine-tune your fits with MaxFit dividers. Protect your gear from the elements with the included All Weather AW Cover and attach whatever you need with the SlipLock compatible MOLLE-style system. Keep your laptop within easy reach in a dedicated and padded compartment. Stash a tablet, small accessories, your smartphone, filters, spare battery, wallet and keys (attached key fob included) in the well organized front compartment.